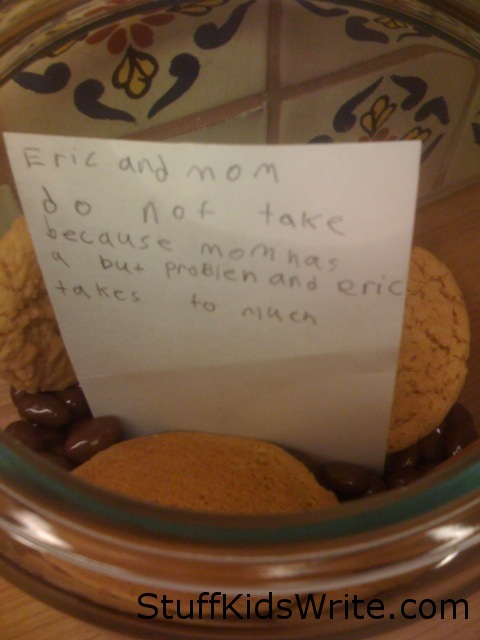 Posted on September 10, 2013, in For Moms, For Siblings, Misspelled, Notes and tagged Baby Got Back, children writing, cookie jars, funny, funny kids writing, Humor, Kids, misspelled words, notes, Sir Mix-A-Lot, Stuff Kids Write. Bookmark the permalink. 13 Comments. Having taught 5th Grade writing , I couldn’t resist. Children are so blunt honest! Pingback: 30 Kids Who Wrote The Meanest Notes Ever. I Should Feel Bad...But I Can't Stop Laughing!